There was a European Mixed / Four Nations flavour to the 3rd/4th play-off at the Dalrymple Cup Final Weekend at Stranraer Ice Rink last Sunday afternoon. 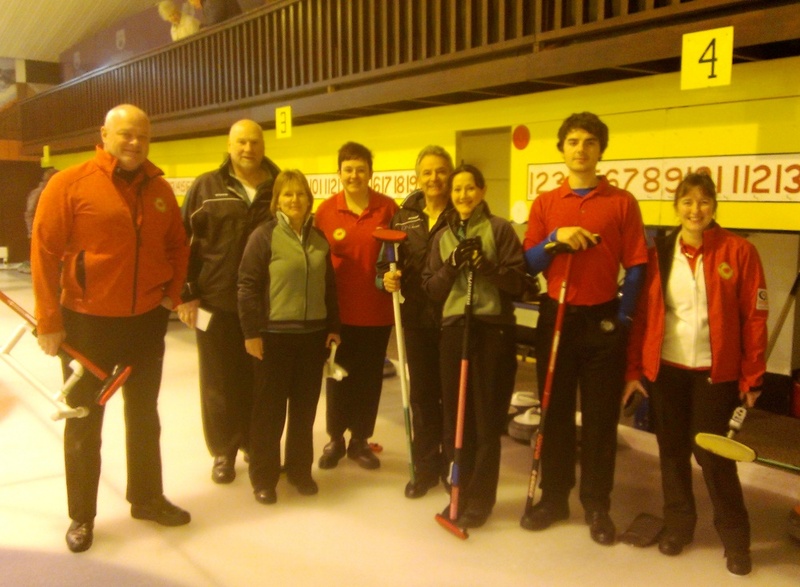 Ireland’s Johnjo Kenny, Tony Tierney, Charlotte Tierney and Gillan Russell took on the Welsh team of Adrian Meikle, James Plougher, Dawn Watson and Laura Beever. The Irish foursome always had the upper hand on their opposition and won the eight-end game game 8-4. At the final dinner the team were presented with a voucher each for a 5-day holiday at a McMillan Hotel and, later in the evening, TT rocked Stranraer with his stand-up routine. WE may have heard all the jokes before, but who else can make you laugh just as hard the seventh time you hear them as the first time! Ireland’s other representatives at the final weekend were PJ Wilson, Peter Wilson, Louise Kerr, Anne Wilson, Fiona Turnbull and Tom Roche. 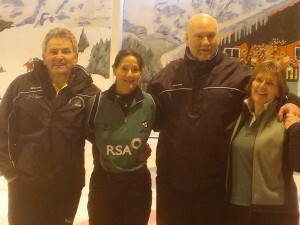 The first four played together, Fiona played with Michael Sutherland and Tom with Alison Petrie. All had mixed success but enjoyed the socialising, the food and the drink. First prize went to Neil Kennedy’s rink from Ayr, who beat the former two-time winners, Robert Anderson’s team, also from Ayr, 11-3 in the final.